Like a crowded bazaar, the marketplace for DJing is saturated. There simply isn’t enough space for everyone to gain opportunities to raise their profile by performing to the ‘right’ people. 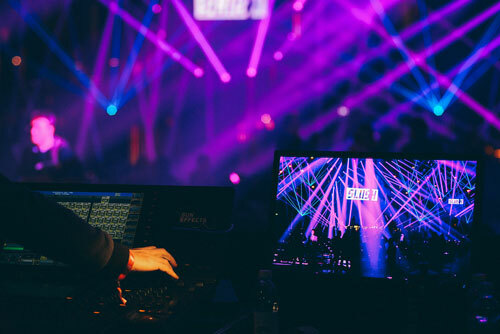 Yet time after time, new DJs emerge with a ‘started from the bottom’ approach, expecting that both financial and creative success is simply a matter of time. But there’s one question every new student of DJing should be asking themselves: what is it about me that makes the people care? If you haven’t answered that one yet, here are some alternative approaches to the cookie-cutter approach. How have the world’s best DJs made their name? Regardless of how you decide what ‘the best’ means, it was probably through a combination of good taste, charm and luck. But one thing is certain: all of us are a dirty MP3 rip or a speaker fail away from losing the gig. There are armies of others pushing up to take your place at the table. You need to be unique and indispensable to your community. Even when they’re offering lower pay or a kids birthday party, you want to be the first person they call. The gigs you don’t want to do are the ones that enable you to do what they want. Let your surrounding marketplace subsidize your passion. It’s still better than a day job. Nobody really wants to act on the following piece of advice, but those who do want to learn DJing for real and follow it have an advantage. Here it is: for every hour you sit on YouTube getting ‘inspired’, you’ve lost an hour of practice. The idea that you’re going to make a name for yourself as a DJ without doing a whole lot of behind-the-scenes work is a little bit poisonous. DJing is as much about curating databases and libraries of files and clients and social media schedules as it is about playing music. The music is the fun part, which fuels the excitement for everything else. Without it, there’s no career. Remain inspired by it, but get your business set up as early as possible, if a career is what you’re really after. Unlike most other art forms, mastery of DJing is about mastery of technology. No matter how outstanding your taste in music, there’s nothing stopping someone else from playing the same exact setlist besides you getting the tracks first. Get to know the gear inside out. If you’re a laptop DJ, practice on turntables. If you’re decks, practice on controllers. Find new ways of making your set interesting. Nicholas Jaar plays a ghetto blaster at his events. It doesn’t have to be that offbeat, but certainly expand your range. Always remember, though: the gear doesn’t make the DJ. The music makes the DJ. Some DJs make a name by their music selection alone. Some are outstanding producers. Some employ stage gimmicks in combination to the above. Some don’t stop at playback, and create mashups, remixes and live performances on the fly. Some employ whole instrumental ensembles. Whatever approach you take towards learning how to DJ, you’ll want to stand out. 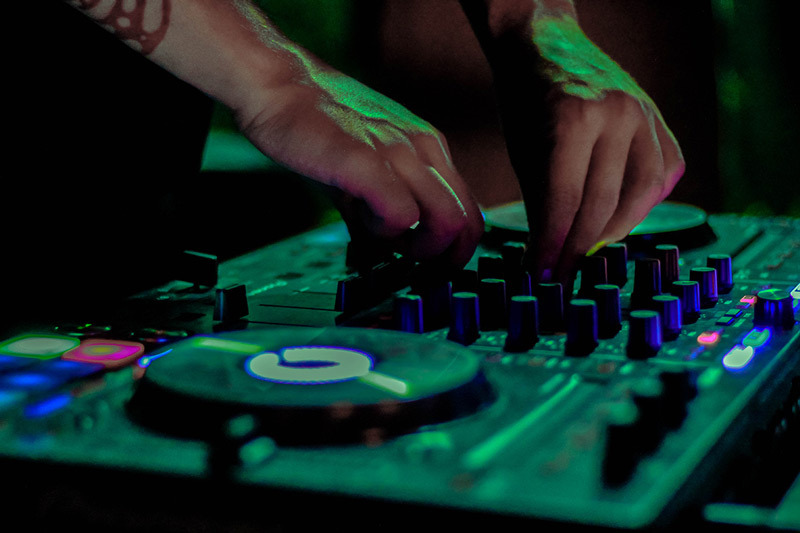 Check out a few examples of non-traditional DJ methods that have put selectors on the map. In this pretty cool interview, Lena Willikens describes how even the smell and temperature of the room can influence her track selection. It’s a great example of following your own judgment to create an identity out of your track choice. As you develop a sophisticated taste, communicate it clearly. You are the one that the people look to for advice on what’s hot and worth listening to on a week-by-week basis. Keep an eye on the charts, but spend as much time as possible crate digging and finding the music that fits your personality. Technology plays a huge part in the arsenal of the more alternative DJ. Your choice of weaponry says as much about you as your music choice. 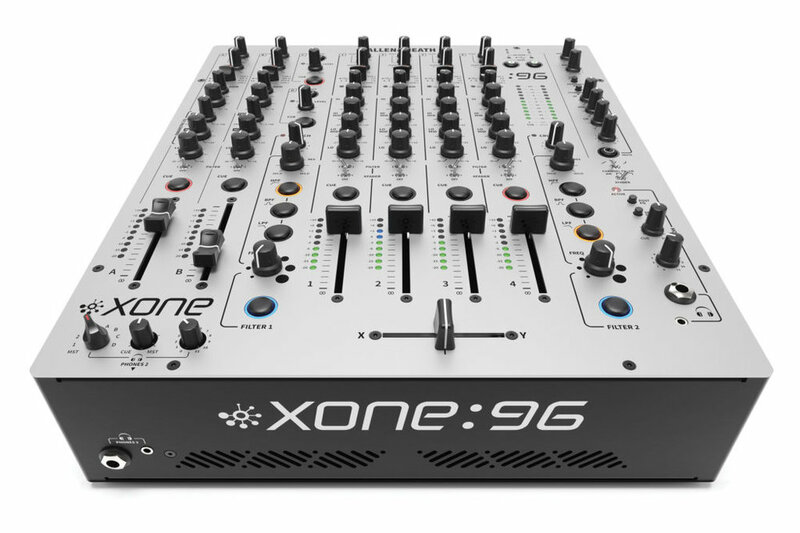 And with the options available to DJs today, even a little technical understanding will take you a long way. From the technical overkill of Daft Punk to the simplest laptop setup, the level and character of technology you harness will say as much about you as your track choice. You’ll probably find yourself lumped in to one of a few camps. But labels like hip hop, techno, house, EDM don’t really matter. Becoming a DJ is about how you use the gear. Having a pair of bongo drums or a guitar on stage with you is a great idea. If you’re able to enlist a friend or even play it yourself, you should seriously consider it. There are still enough solo, non-instrumental DJs in the world to make a bit of live action a massively intriguing part of your set. You don’t have to be this guy and play twenty instruments (you are a DJ, after all), but get some percussion in there and watch the difference it makes to the crowd. Advancing your DJing skills and reputation means learning the DJ trade by going the way that the others aren’t going. It’s not rocket science. Pretty soon, whatever is trending becomes boring. Start looking for alternatives to the norm and position yourself as someone original as early as possible. You’ll feel the difference in the satisfaction with your work. DJ slang is a language of its own. With roots firmly in the hip hop turntablism of the 1980s, DJ jargon is based on the technical novelties and subculture of the artform. You want to play the part while learning to DJ like a pro? In this fun list, we take a look at a few things you might hear inside the booth. Break: Part of a song where only the drums play, usually for 4-8 bars. Can be looped or sampled as a springboard for a new track or for an MC to rap over. Sampling the drum breaks from gospel and jazz records formed the basis of early hip hop. Crab: A scratch technique named after the shape of the hand as it controls the crossfader or fader. Crab scratching involves using the thumb and fingers to alternately raise and lower the fader, tapping quickly to create a rapid gating effect. Coffin: massive flight case containing DJing equipment, typically two turntables and a mixer. To lower the volume or EQ gain. To transition instantly between two tracks without cross-fading. Downbeat: The first beat of the bar. Hamster switch: A switch which reverses the crossfader channels temporarily. Using a hamster switch is a common scratch technique to create clear cuts between the tracks. Hard swap: Quickly trading part of one track for another using EQ. For example, cutting the bass on A while simultaneously raising it on B. “If you aint redlining you aint headlining”: Common yet controversial phrase describing how loudness (rather than selection or technical skill) is the most valuable weapon in a DJ’s arsenal. Juggle: Turntablism technique wherein musical samples are rearranged to sound like something new. Two copies of the same songs are required. Favorite technique of Kid Koala and many others. Scribbling: Simple scratching technique where the record is moved back and forward around a chosen sound. Spinback: finishing a song by giving the disc a backwards finish. Throwing: Giving a disc a small push to reduce lag time as it speeds up. Critical technique for beatmatching with any skill. Tag: Two or more DJs performing a set by playing alternate records. Trainspotting: Annoying practice by wannabe DJs who crowd the booth in an effort to see what track is playing. Trainspotters often interfere with the DJ. Trainwreck: Failing to match beats, resulting in two kicks playing slightly out of sync. Sounds horrible, but happen to the all DJs at some point. Hanging out with other DJs is pretty normal when you share a bill, and there’s often a lot of time between soundcheck and show. So while you’re actually learning to DJ, do some reading on the history of DJing and its subcultures and then head out and pick up some cool lines. Career success is one way to measure DJing, but not the only way. Truth be told, there’s plenty hype around how to create a big name for yourself already. You have to choose your own level of involvement. So whether you’re only starting out learning to DJ or want to raise your profile to the next level, here’s a roadmap spanning the career of a successful DJ. Leaving the house and performing out and about isn’t top priority for bedroom DJs. At this stage of a career in DJing, the priority is refining technical and track selection skills rather than sharing them with others. Bedroom DJs who want to progress their career should be live streaming and uploading their mixes to Mixcloud and sharing them for increased exposure. Joining forums is also a good idea to spread the word. Focus on positive feedback and ignore trolls. Having a DJ hobby is a great way to keep your creative spirit alive. The early days of DJing involves getting to know people in the area. But you’re likely going to be playing Top 40 material and stuff with really broad appeal. This is because you have to earn a reputation in order to play exactly what you want to play. A good idea during this phase is to upgrade your equipment. If you’re planning on taking it further, you need to begin looking and sounding pro. That means having all the necessary accessories (adapters, cables, microphone) to be able to problem-solve on the fly. And stay humble. You’re basically there because as an alternative to the house music system. Mobile DJs are still closer to an accessory than a feature until they begin crafting their own sound. Wedding DJs differ in one main respect: they’ve learned how to talk the crowd. Being able to hype up guests is the next skill in being a bookable asset. Rather than being in the background, the DJ booth serves as a focal point during the event. This is where you start getting hit by requests, so you’ll need to be prepared for that. Requests are generally pretty typical, so leave your rare Uzbek folk recordings out of the crate. The money is fairly good and the general expectation is that you’re kept fed and watered. The most important thing when DJing at a bar is to have fun. This is not the type of gig where you’re head down in the laptop or decks. You need to connect with people and keep the music choice varied. You’ll definitely be a little more free with the song selection, and the whole evening doesn’t have to revolve around hits, although it will likely end that way. Depending on the length of the gig, you might have time to experiment a little bit early in the evening. Just keep the selection fairly simple. The crowd probably cares a lot less about your taste than their own. Becoming a club DJ is the holy grail for most aspiring selectors. You have a trusted name and a loyal fanbase, and often have total freedom with song choice. The audience is there for the music and your role has shifted from behind-the-scenes to focal point. This coveted position is worth defending by continuing to refine your skills and taste. The more you play once-off gigs, the stronger your chance of being selected for a residency at some point. From there, it’s a matter of scaling up your appeal and supporting big DJs when they’re in your area. In other words, making it. 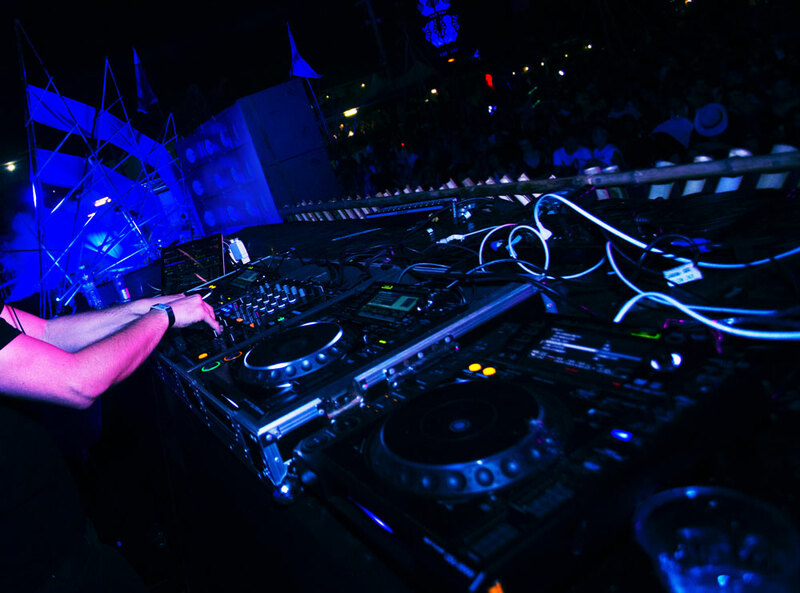 Getting on the radio is a massive shift for the breed of technical selectors known as DJs. It might mean a major timeslot shift, starting with the graveyard. But you get to select what you want to play, and the position comes with some serious respect. Once you’ve done your time in the trenches, it’s a good move to end up with a weekly show on daytime radio. You’ll be able to greatly influence people’s listening choices and will start to get loyal listeners. But if your mission is lights, crowds and nightlife, pick a different path. Keep your music passion alive by signing up for an online course. Streaming your sets is a good way to get a few more fans into your taste in music. But the real benefit is that by putting a bit of pressure on yourself to get it right, you simulate real world gigs. So get good by opening your work up to the world and learning valuable DJ skills from your fans’ feedback. Here’s how to live stream your DJ sets to fans. It’s important to remove any barriers to your live stream. You shouldn’t have to hunt for cables or download apps every time you want to broadcast your set. Make sure a corner of your room is set up, that there’s a tripod for your camera or phone ready and in position. Make sure the audio routing into your computer, audio interface or phone is prepared. In other words, do a little maintenance so that when you’re in the zone, doing admin doesn’t kill it. Chew.TV is built for DJ live streaming. 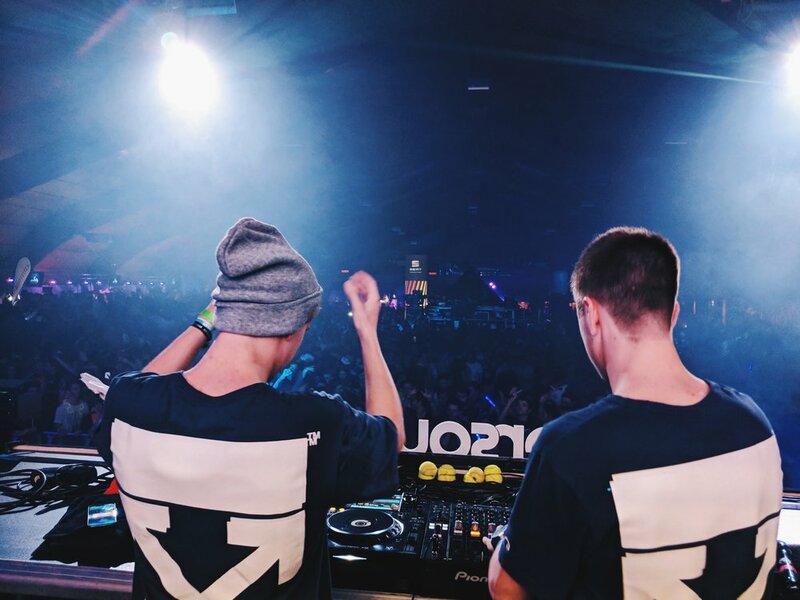 Their about page describes them as “the live streaming platform that connects a community of over 350,000 amateur, up-and-coming and professional DJs, producers and personalities from over 130 countries around the world with an audience in over 190 countries.” You’re able to search by genre and easily create an account to start streaming your own stuff. Twitch.TV is also an option, but more geared towards gamers and live musicians. YouTube is the most ‘TV’-like streaming service, with audiences generally expecting higher production standard than other platforms. It’s also impossible to get found on YouTube unless you’re paying to promote yourself, and they’re increasingly strict about mature content. Facebook Live is a good place to start. Live streaming (of anything) generally ranks more prominently in your friends’ feeds, and many people are active in the evening. To stream a DJ set from your your computer, you’ll need a webcam, a broadcasting app like OBS and an audio connection from your decks or laptop to the computer. This is just a basic overview, so if you’re using a computer then check out other resources that can help you with this setup. You’re also able to use your phone to stream your sets using Periscope and other services. The cool thing about live streaming your set is that DJing gives you loads of time to chat to your viewers in between mixes. Unlike playing an instrument, you can perform while engaging your audience by typing. It’s a perfect match! Treat everyone as a potential fan by being friendly and open. Even the one guy who rocks up at 3.30am their time with nothing to say but ‘I’m so high right now’. Besides, more comments means a higher news feed ranking. Growing an audience takes time, so keep your sets regular, post setlists and links after the show, connect with the artists and keep the music fresh! Get better at DJing by signing up for one of our online DJ courses.